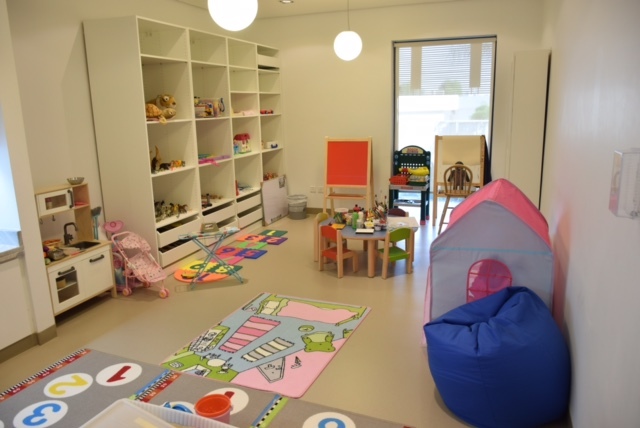 The Dubai Foundation for Women and Children (DFWAC) received 30 victims of child abuse who are below 18 years old, during the first half of this year, according to HE Afra Al Basti, Director General of the Dubai Foundation for Women and Children, Member of the Federal National Council. She added that out of these cases 16 cases were sheltered in DFWAC, while the rest received full care and rehabilitation services and they were not in need of any housing service, saying that all cases are subjected to accurate screening to determine all their needs and develop an appropriate rehabilitation plan for each of them. HE Afra Al Basti referred that the number of victims of child abuse which DFWAC received during the first half of this year decreased by about 33% compared to the same period last year, which the Foundation has received 45 cases of this category. She added that the majority of the cases in this category were females, where numbered 20 cases compared to 10 cases of males, and the number of Emirati children totaled 12 cases by 40%, as well as the children of other nationalities, which numbered 12 cases, and other 6 children with un-known nationalities. Al Basti explained that about 25 children have been subjected to violence by the father, while three children were subjected to violence by the mother, and one case by each of a brother, a sister and a relative, noting that some cases subjected to violence by more than one person. She added that the majority of cases subjected to more than one type of abuse, as 19 children were neglected and 14 children subjected to physical violence, and 14 to the verbal abuse, while 16 children subjected to watching violence, and 7 Children were subjected to financial abuse and two children to sexual abuse. According to Al Basti, 8 cases of child abuse were reported to DFWAC by their relatives, and has six children communicated directly with the Foundation’s helpline 800 111 to ask for help, and 5 cases were referred by the police, and 4 cases by the courts, and 3 cases by schools and two by embassies, and one case by the prosecution and another case by neighbors. Al Basti pointed out that the DFWAC offers all its services free of charge to all victims of violence of this group and the other categories of victims of violence, ranging from providing shelter, care and rehabilitation services, as well as legal and educational services, and programs for vocational rehabilitation and different recreational activities. She added that DFWAC aims to reach the victims of child abuse who do not report that they are being abused for various reasons, where many children remain silent about their exposure to violence, whether because of their fear of the abuser or thinking that it is normal when the source of abuse is the father or the mother. She said that dealing with every victim is different according to the nature of the problem, where is the support plan for each child is designed according to his need and it is implemented and evaluated on a regular basis, including the objectives and tasks that must be done, which includes all of the family support and social support, psychological support procedures, legal support, health support, and housing support. She added that the support plan is reviewed periodically to ensure its relevance and effectiveness, and after achieving the desired objectives, the case manager work with the case on the processing of a transition plan to prepare the child for integration back into society, and put out a plan to ensure the safety of the child, as well as to follow the case plan and continue for six months after the child is out of the shelter. Al Basti pointed out that the Foundation organizes awareness campaign about violence against children on an annual basis in the month of April under the slogan "Protect Childhood .. It’s Precious" in conjunction with the Global Awareness Month to eliminate violence against children, targeting in all the concerned groups with this issue, starting from the child himself and including parents, as well as teachers and schools specialists, in addition to the awareness lectures and workshops organized regularly in schools, universities and public places. Director General of the Foundation confirmed that care and protection of children and to ensure their rights is an important point of interest to the wise leadership of the UAE, which is reflected clearly in the great efforts made by the various parties on children in the Country and the large cooperation between them to provide a safe and stable environment for children. She added that the child abuse levels in the UAE is one of the lowest in the world, compared to many other countries, as the country aims to achieve serious and significant strides in this area, especially after the application of the “Wadeema” Law to protect children rights, which is expected to contribute significantly to the reduction of this crime.